Disneyland is special for a variety of reasons, but the characters strolling around the park really make the fantasy world extra exciting. Everyone has a favorite, whether it’s the Mouse himself or a beautiful princess. One Disney friend who is adored year after year is Mickey’s longtime buddy, Goofy. If this zany dog is your favorite, you’ll have plenty of opportunities to see him on your next visit to Disney. You can spot Goofy all over the park, and many times he seems to appear out of nowhere. To ensure you don’t miss him, grab a character location schedule at the park entry. You’ll most likely find Goofy in Town Square. Many characters only do scheduled meetings, but you may get lucky and catch the nutty guy out and about. If you do, be sure to get a photo with the famous castle or the quaint turn-of-the-century buildings as your backdrop. Goofy also regularly appears at the Big Thunder Ranch Jamboree in Frontierland. The live show is actually a hoedown with Mickey Mouse and friends, and it’s quite the spectacle. Characters not only perform, they play around with each other and show their unique personalities. Your chances of seeing Goofy roaming around are pretty good, and he seems to be even zanier and clumsier around his hillbilly pals. Another good place for meeting the wacky dog is Mickey’s Toontown. It’s the home to the most popular Disney characters, and once you step into this wonderfully loony world, you’ll feel as if you’ve entered a classic cartoon. 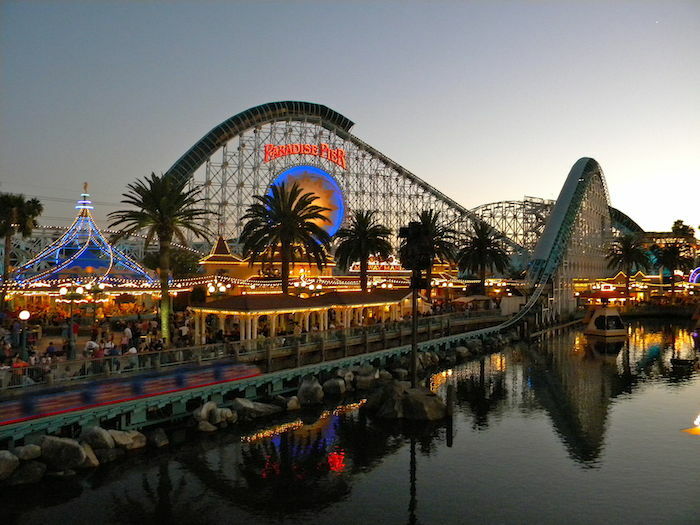 With its lopsided, brightly colored buildings, Toontown is a story waiting to be told. It truly is the perfect wacky world for Goofy to call home. In the center of the neighborhood, you’ll see Goofy’s blue asymmetrical house, which is tall and lanky just like its owner. 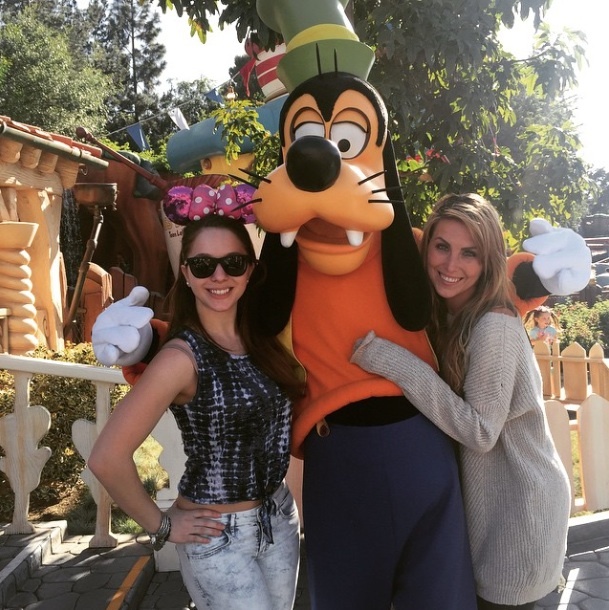 Goofy is occasionally seen dancing and goofing around outside his home. If you spot him, there are many great places to pose for pictures, including in his garden of twirling flowers or next to the wildly shaped furniture inside the house. If your children want some one-on-one time with Goofy, sign up for a character meal. You can enjoy any meal with various characters in the park or at certain resorts, but you’re not guaranteed to see Goofy unless you go to Goofy’s Kitchen at the Disneyland Hotel. You don’t need a room to attend the special brunch or dinner. While you’re there, you and your family can dance with Chef Goofy and experience the mayhem only he can produce. 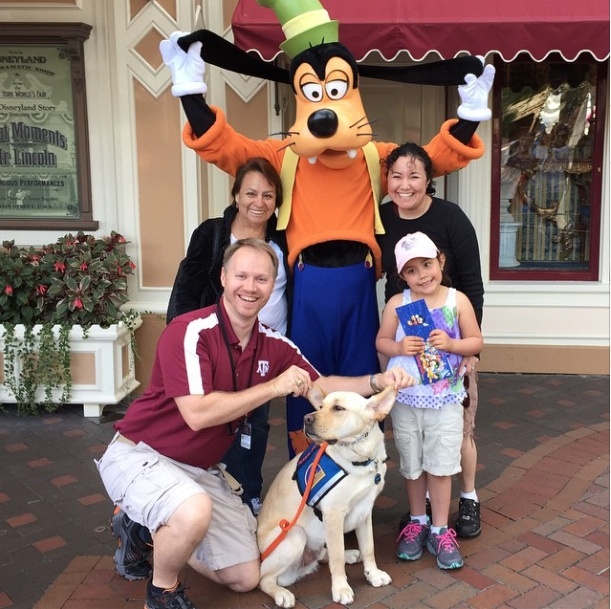 For more personal interaction, check out the Discover the Magic Tour where you and your family can play alongside Goofy and other characters. You’ll dodge villains, go on a treasure scavenger hunt, enjoy a special meal and visit with Goofy and his sidekicks. The tour and character meals are ideal options if you don’t want to stand in line for the typical meet-and-greet, but it’s best to reserve your spot for each a few weeks in advance. Younger children adore Goofy for his silly antics and awkwardness, so it’s worth taking the time to character hunt if you have little ones. 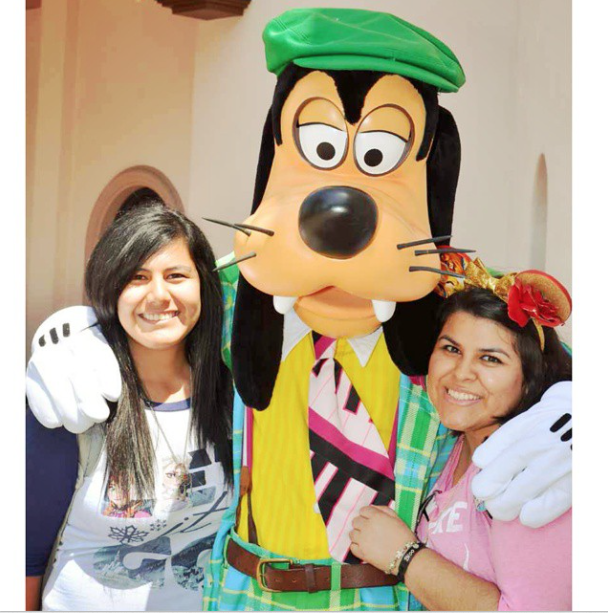 Since he’s known for his foolishness, Disneyland guests love taking crazy pictures with him. Once you spot his rumpled green fedora, grab your autograph book and camera, and get ready to giggle. Goofy will certainly make sure you and your loved ones have an unforgettable experience.